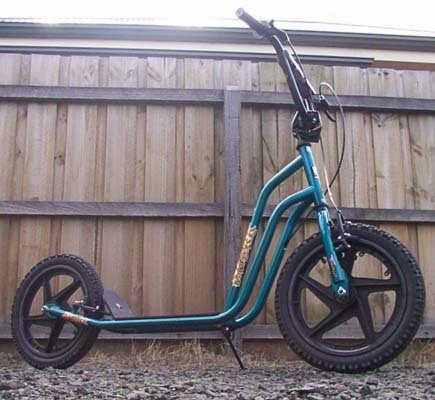 The scooter is called a Shark thats manufactured by Phillips. If you buy one make sure that the wheels are straight, the one I almost brought had massive buckles in them. The shop said that the manufacturer is very poor, most are straight but some are crap! BEWARE. 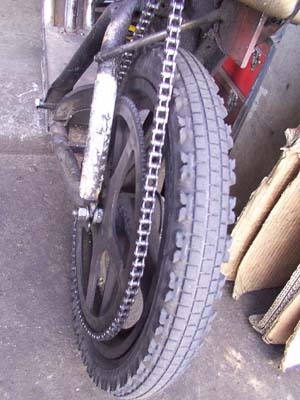 The chain has a spring action rubber chain tensioner, that you can buy from bearing and chain shops.